We all understand the concept of Coinsurance, right? We pay 20% of the claim and the insurance company pays 80%. Seems simple enough, doesn’t it? IF you’ve ever had a health insurance claim, I’m sure you really understand it. You probably have that same 80% figure on your Building, Contents and even possibly your Inland Marine policy, and that is probably sounding like a pretty bad idea. However, you will be happy to know that what you think you know is not what you need to know. In a business insurance policy, Coinsurance of 80% does not mean what we have all been trained to think from reading countless health insurance policies. In fact, there is no correlation at all. If you imagine your insurance policy as hundreds of promises to pay for claims made to you by the carrier; think of Coinsurance in the business policy as one of the few promises you make the insurance company. Essentially, “I (State your name) swear to insure my (Building or contents) to a minimum of (80%/90%/100%) of the true replacement value at the time of loss. If it doesn’t pass this basic test, the insurance company can penalize me based on a formula buried in your policy! This is a serious promise! But, how does it work? Here’s the quick answer. Let’s say you own a building that will cost $1,000,000 to replace it, as-is, today. You promised to insure to a coinsurance of, let’s say, 80%. Then you must insure it for a minimum of $800,000. (80% of 1,000,000) If you pass this test, there will be no penalty for a claim you may have, whether it is for $5,000 or $500,000! But what if I don’t pass the test and I underinsure my building. (Let’s face it, you’re a business owner not a building appraiser), now what? promises YOU make to the insurance company. Again, the quick answer. Same numbers as above, your building is worth 1,000,000 today to replace, and you have 80% coinsurance, meaning you promised to be at least $800,000. However, let’s imagine you underestimated and only insured the building for $400,000. Well, you did not meet your promise, in fact you only met half of your promise. What percentage of your claim do you think your insurance company will pay? You guessed it…….half! If your claim is $200,000, you will have to make due with $100,000, there’s the problem. Your insurance company will only pay you based on how well you met your promise to them, and they don’t care if your limit was enough to cover the claim or not. Pass the test and no worries, fail the test and it’s paid as a percentage of how off you were. How do we get past his issue? Here we have a variety of options. For your building, make sure you use an insurance agency that will do a building appraisal, and take the time to review it. For contents, no one but you, the owner, will truly understand what it takes to replace what you have. But remember, the value of something in a replacement cost policy is not what you paid for it, it is not what it is worth today, and it is not what I could buy one used for; it is worth what a NEW one would cost today, hence the term “replacement” cost. Most importantly, find an agent and an agency that understands commercial insurance, and will take the time to understand your needs and explain the policy to you. Coinsurance isn’t a bad thing, it’s just something you need to be careful with and understand. 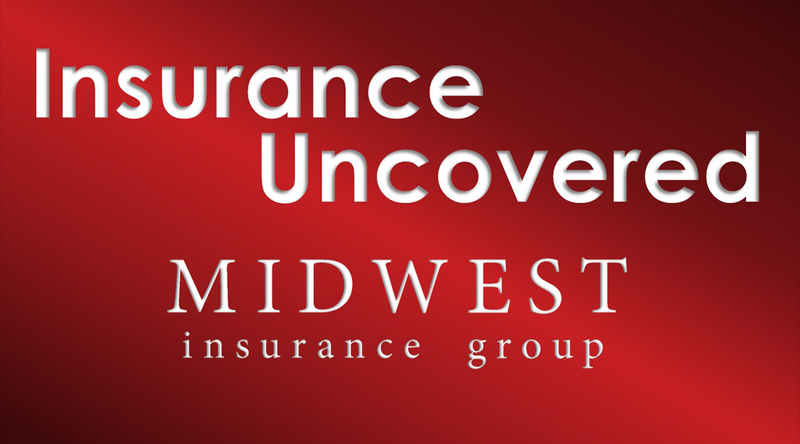 If you have any questions, contact your agent, or feel free to call one of our commercial specialists here at Midwest Insurance Group. 262-646-5777.